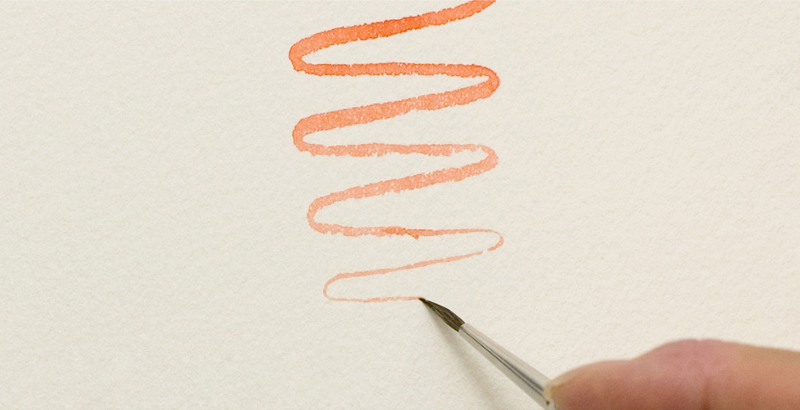 Watercolor brushes enable the artist to make optimum use of the properties of watercolors in which the moisture content demonstrates a rich variety of expressions. 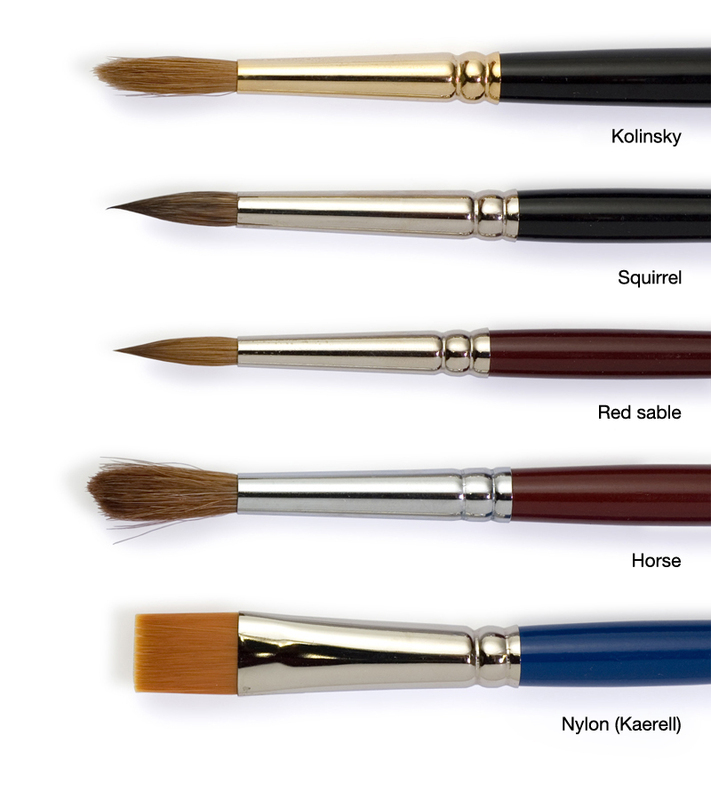 The brush tips are mostly made of animal hair which have good water composition, flexibility and the right amount of body. 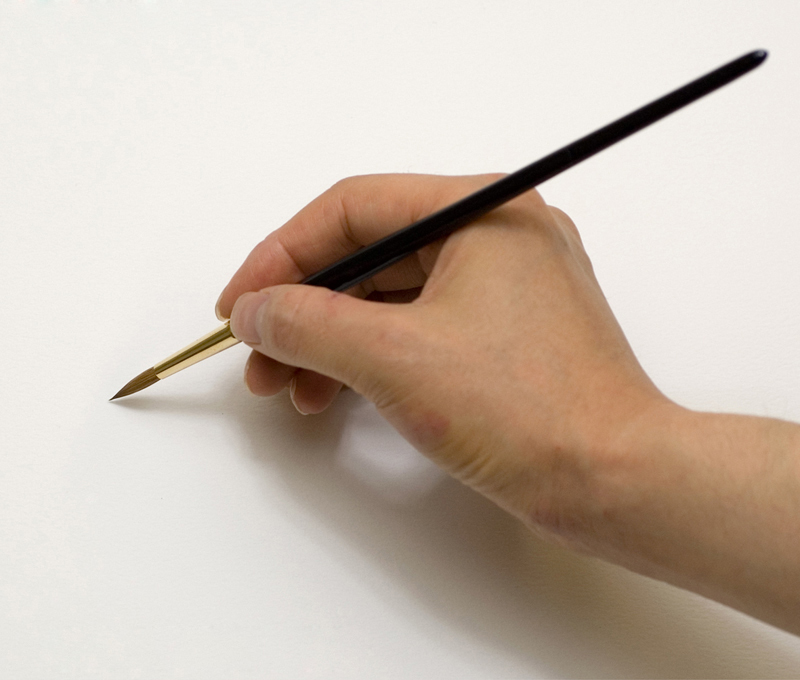 There are various shapes and sizes that allow a range of lines and strokes. 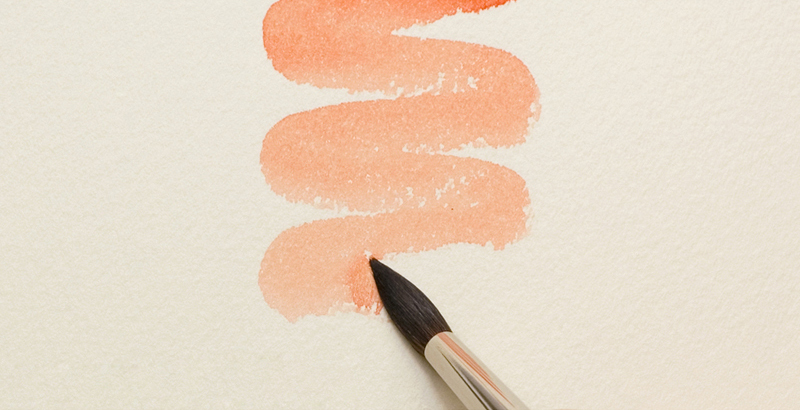 There are both hard and soft tip brushes but soft tips are mainly used in watercolor brushes. 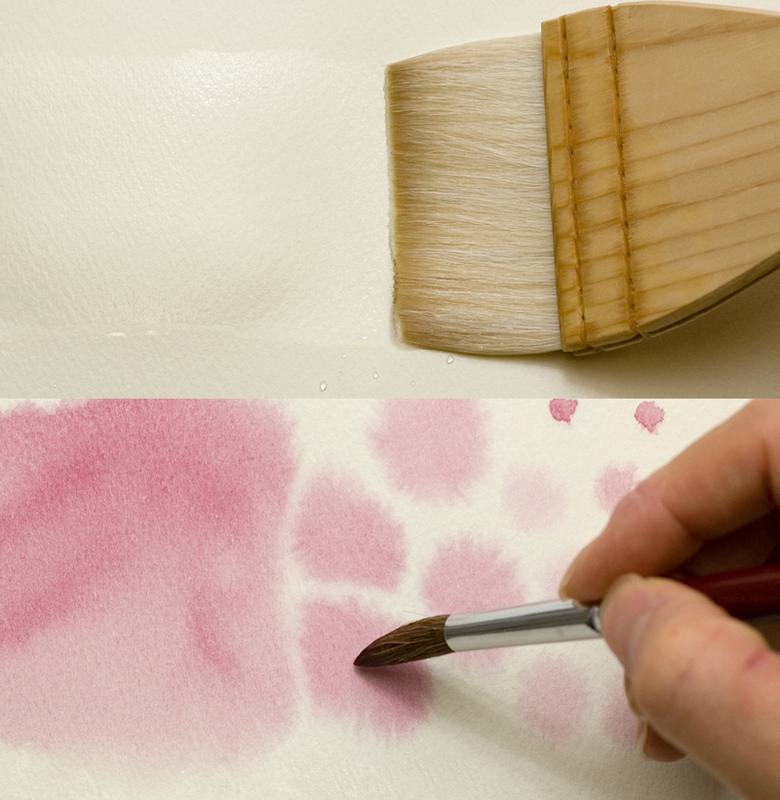 Because of the softness, soft tip brushes work well with water and have good composition. This facilitates such expressive effects as paintings that use subtle contrast and fluidity and strokes with less prominent brush marks. 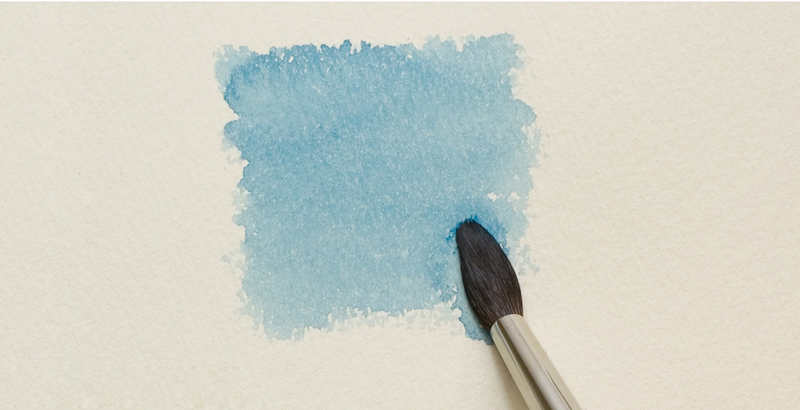 The soft hair used in watercolor brushes comes from animals such as the sable (a species of marten in the weasel family), squirrel, horse, raccoon dog and sheep, and synthetic fibers such as nylon are also used. Sable hair from the kolinsky, a species of marten that inhabits Siberia and northeastern China, is spindle shaped, has superior flexibility, cohesiveness at the tip and paint composition and, therefore, makes the best brush. 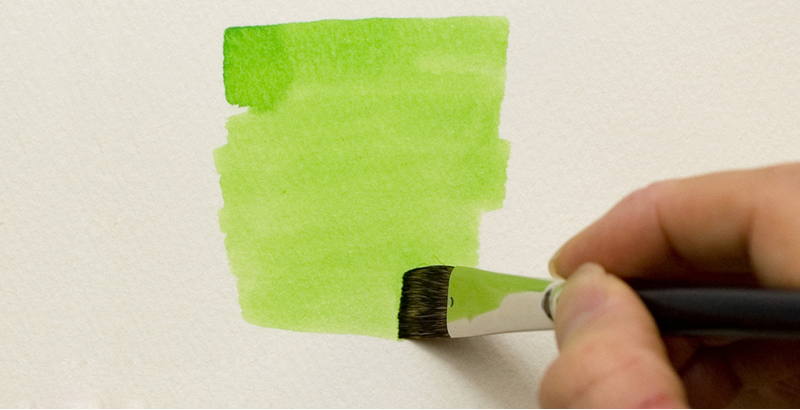 In contrast to this, cheaper brushes with nylon or some other synthetic fiber tip are used for acrylics. There are also brushes (Resable, etc.) with corrugations specially machined into the synthetic fibers with a blend of animal hairs which offer paint composition and flexibility close to brushes made purely from animal hair. 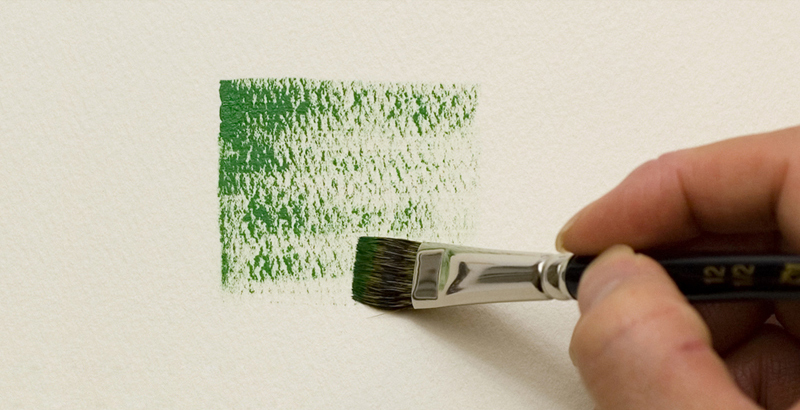 A hard pig-bristle brush is the best choice for painting with richness and flexibility. 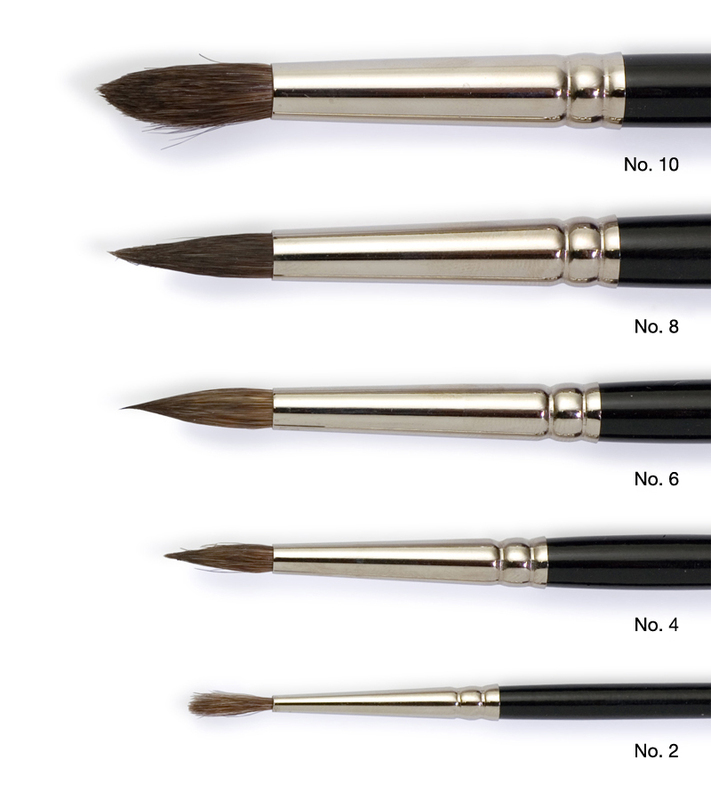 Brush tips come in various sizes (the larger the brush the larger brush size number) and shapes, including round and flat. 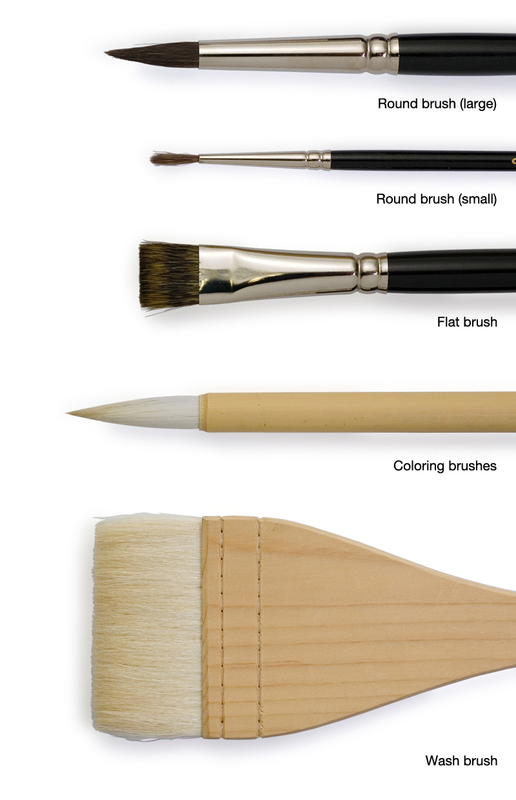 Round brushes, in particular, are often used for watercolors, have good paint composition and move easily. 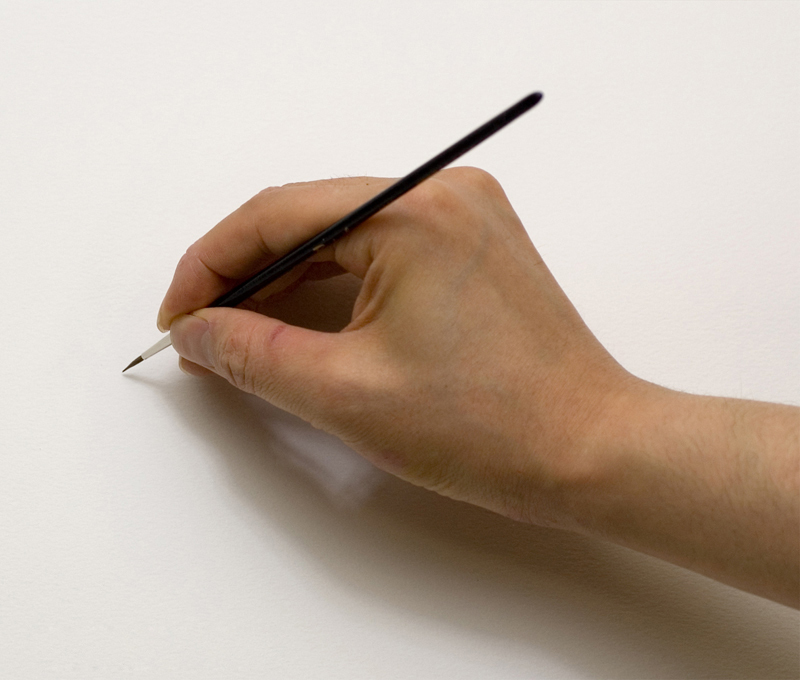 Therefore, they can be used for painting long, flowing strokes. 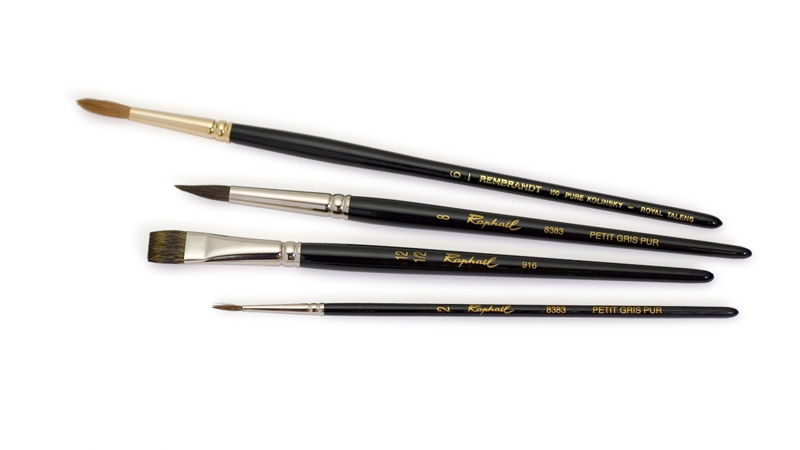 Brushes with fine tips are used for fine lines and delicate work. Flat brushes, on the other hand, can be used for even painting of comparatively wide areas and for sharp outlines with edges. Other brushes, such as the flat painter’s brush which is more convenient than the standard flat brush for wide areas, and the fine-tip brushes used in Japanese-style painting as well as the coloring brush and ebake art brush can all be used with watercolors. The tips of new brushes are stiffened with starch or similar substance so it is best to rinse them thoroughly with water before using to wash the starch out. 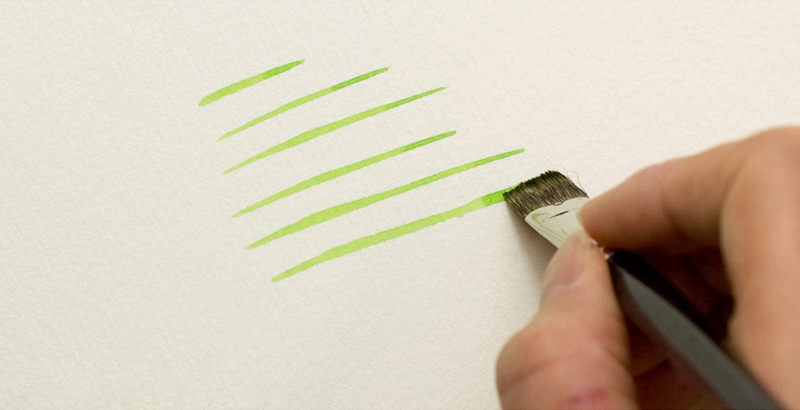 Wash after use in lukewarm water, thoroughly remove paint from the bristle stem,straighten the tips and leave to dry. Special cleaner and rinses, etc. can be obtained for animal hair brushes which will lengthen their life span. 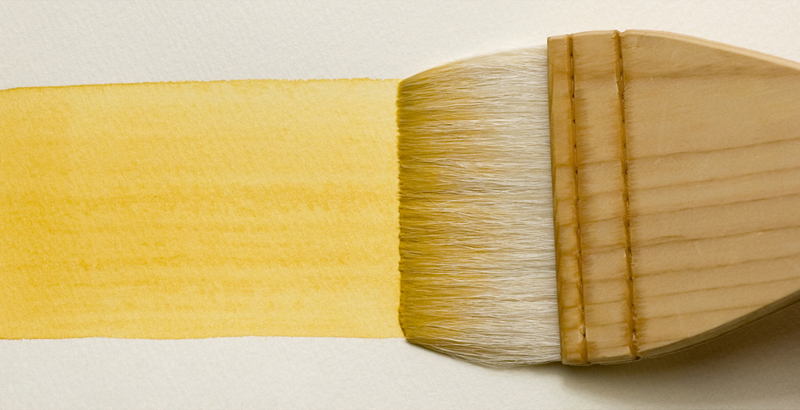 Watercolor brushes can be purchased at general art stores.